Please Click here for the North West Group’s training dates. 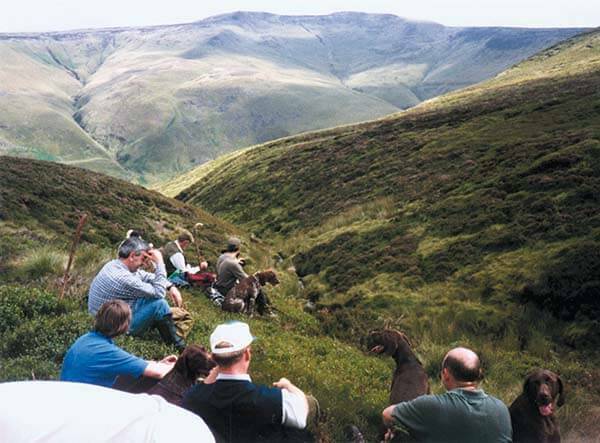 The Group serves a large geographical area, currently providing training venues within the bounds of the Manchester, North Derbyshire, Lancashire and Cheshire region. Training classes are held on the third Sunday of each month, all year round. Training classes are open to all HPR breeds, as long as their handlers are members of the German Shorthaired Pointer Club. The aim of the group is to help handlers produce good-mannered shooting companions, whether worked solo as rough-shooting dogs, or in company beating and picking up, but dogs which are welcomed on shoots and can serve a useful purpose. Perhaps the strength of our group lies in the diversity of those active members who have involvement in various shoots and who can bring their experience of game shooting and gundog work to the training scenario. There are opportunities within the group, for those handlers willing to put in the hard work which will get them there, to bring on a young puppy right through from initial training, via introduction to live game, to being shot over in the field. The group holds a well-supported Working Test in July each year, on ground which is as near as possible to the type of terrain dogs in our area will be expected to work, and evening social/educational events on a wide variety of topics.